In the recent years Polish urban art has become a rapidly growing phenomenon. Polish urban artists are now not only mentioned among the world’s best, but above all, within the broad spectrum of urban art they managed to develop their own, unique, clearly recognizable style. of art created on the streets – graffiti writing. 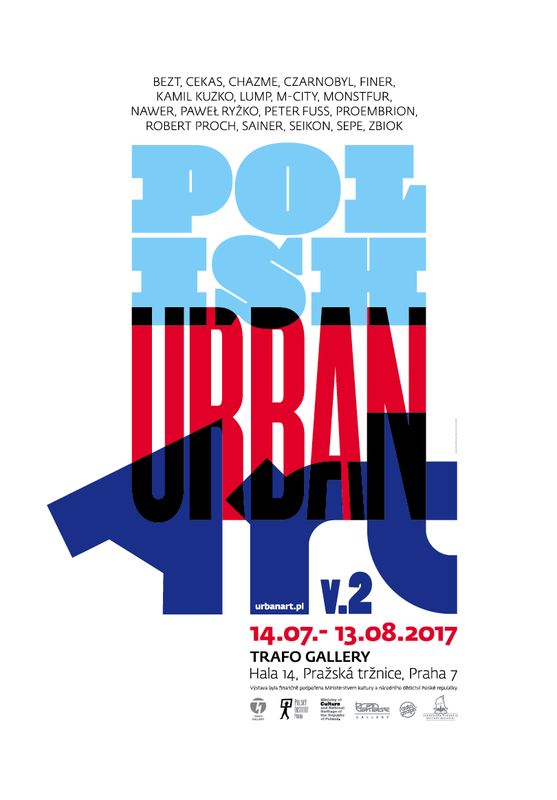 The current exhibition includes the works of some of the most relevant contemporary Polish street artists, such as: Bezt, Cekas, Chazme, Czarnobyl, Finer, Kamil Kuzko, Lump, M-City, Monstfur, Nawer, Paweł Ryżko, Proembrion, Robert Proch, Sainer, Seikon, Sepe, Zbiok. Polish Urban Art” is a project started in 2014, during which we presented our exhibition and painted murals in Belarus, Georgia, France, Germany, Sweden, and Ukraine. The project will be continued in 2017, as we visit the Czech Republic (Prague), Slovakia (Kosice), as well as Hungary (Budapest). More info on: urbanart.pl. Brain Damage Gallery is one of the first galleries in world, and certainly the only gallery in Poland, dedicated to graffiti writing and its evolution. The Brain Damage brand name is older than the gallery itself – it started off in 1997 with the Brain Damage Magazine which for over ten years was distributed in a number of countries from all continents around the world. The gallery was created and is currently being run by former editors of this magazine, as well as art historians. The gallery works together with artists from all around the word and focuses on presenting graffiti writing and various art forms that evolved from it. More on bd.pl. The project was financially supported by the Ministry of Culture and National Heritage of Republic of Poland, Ministry of Culture of the Czech Republic, State Culture Fund of the Czech Republic, ArtDistrict 7, Polish Institute in Prague, European Foundation for Urban Culture, Caparol, Graffneck, Eltodo and media partners Radio 1, Protisedi.cz, Phatbeatz and Artmap.